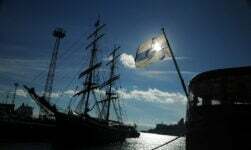 Recently I published an article proclaiming now as the ideal time to visit Norway. The exchange rate movement, driven by the rapid decline in the oil price, means Norway is much cheaper to visit than this time last year. But that's just a boring practical reason. The real reasons are far more emotive than that! Whenever someone planning a trip to Norway asks me for recommendations, I nearly always suggest they cast their eyes much further north than Oslo or Bergen, as good as the “southern” cities are. It took me a long time to catch a glimpse of the northern lights even once I'd moved to Norway. When I finally saw them on a trip to Tromsø in 2012, it took my breath away. It's hard to describe what seeing the northern lights for the first time is like to someone who's only seen photography and time-lapse videos. Depending on the strength, they can be anything from faint ribbons of light delicately twisting through the sky, to vivid blasts of colour leaping from one side of the sky to the other. The playfulness and boundless energy of huskies is contagious. 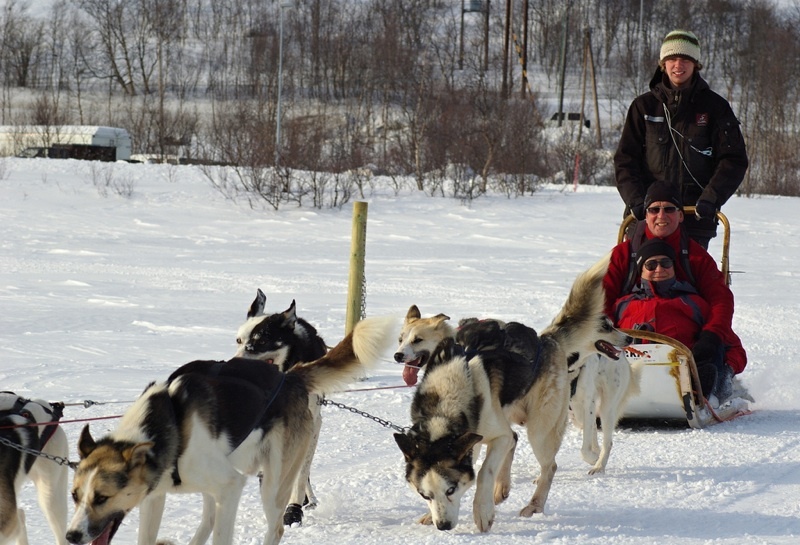 Husky-pulled sled rides are popular all across northern Norway and you can choose between riding as a passenger or trying out life as a musher! Some expeditions last several days, offering the chance to see the stars (or maybe the northern lights) during your trip. 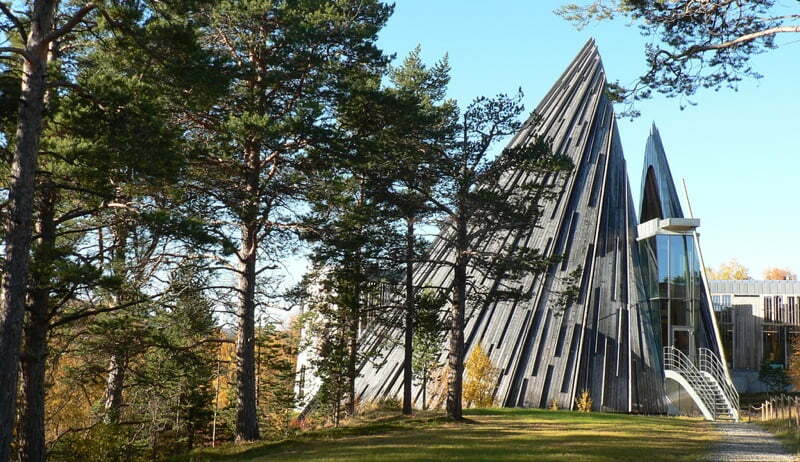 Okay hands up, the Arctic Cathedral is not a cathedral at all. Tromsdalen Church is actually just a parish church with some clever marketing folk behind the scenes! 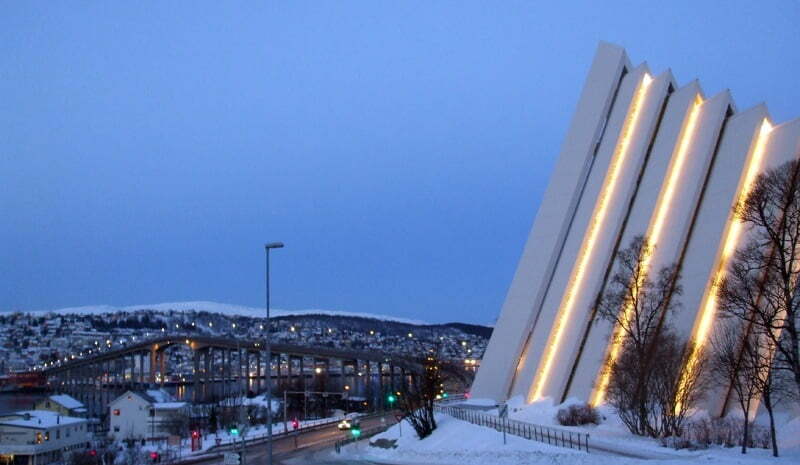 Regardless of its status, the modern architecture of the Arctic Cathedral is a landmark of Tromsø. Visiting time (outside of scheduled services and midnight concerts) is between 3-6pm every day. 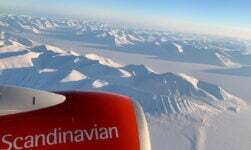 The fact much of Arctic Norway is relatively mild is due to geography. The narrow spine of Norwegian land that curls around Sweden and Finland is close to the coast and therefore warmed by the Gulf Stream. As soon as you venture inland, all that changes fast. 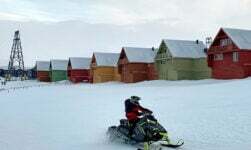 The Finnmark Plateau (specifically Karasjok) holds the record for the coldest temperature ever recorded in Norway, −51.4 °C (−60.5 °F), although that was over 125 years ago! Even so, the annual mean temperature on the plateau today can be as low as −3 °C (27 °F). Wrap up warm! While you're wrapped up warm, the Finnmark Plateau is home to many of Norway's Sami population, so it's a great place to learn about this unique culture. Places of interest include Alta, Kautokeino and Karasjok, the latter home to the Sami Parliament. Shockingly still on my bucket list after almost four years living in Norway is the stunning natural beauty of the Lofoten archipelago. 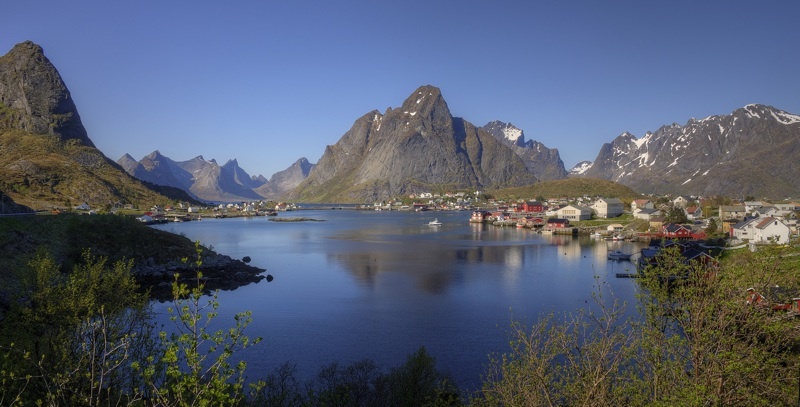 Best known for its picturesque fishing villages surrounded by tall mountains rising out of the sea, Lofoten is the perfect place to relax and take in the best of what Mother Earth has to offer. Lofoten has a pleasant climate (the largest positive temperature anomaly in the world relative to latitude) but it can rain a lot. If the rain stays away, it's a dreamland for cyclists, photographers, and well, pretty much anyone really. The Oslo to Bergen line may be the most famous, but even at up to seven hours, it's a long way short of being the longest train journey in Norway. That honour goes to trains on the Nordland line, which take almost ten hours to travel the 729km between Trondheim and Bodø, crossing the Arctic circle on the way. There's a day train and a night train to choose from each day, but be aware you won't be see much from the night train during the winter, while during the summer it will hard to get any sleep because of the light! Real bargains (from as low as 249kr each-way) can be snagged by booking well in advance with NSB. The 2015 football season (we play during the summer here in Norway!) marks the return to the Norwegian Premier League of Tromsø IL, the northernmost top flight football club in the world. A unique aspect to football in the Arctic is many early or late-season games take place in snowfall, most memorably during the defeat of Chelsea in the 1997/98 UEFA Cup. Fellow Arctic team Bodø/Glimt also play in the Norwegian Premier League. In the Norwegian Arctic, the sun doesn't set in the summer. The further north you travel, the longer this phenomenon lasts. 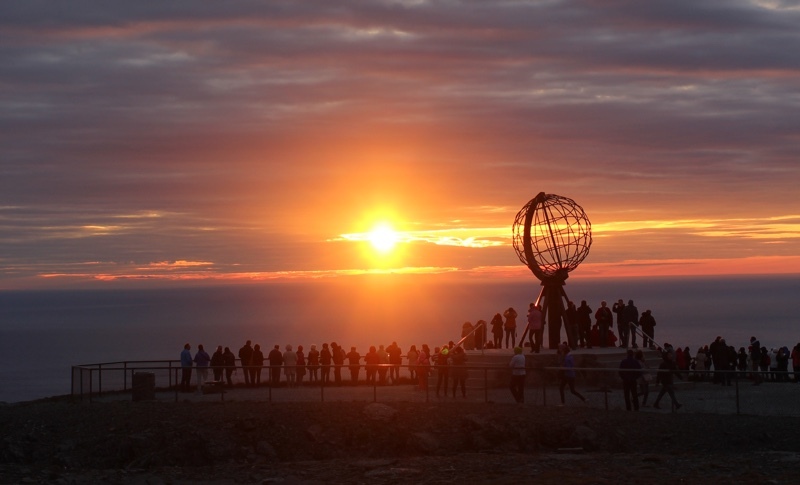 From the North Cape, commonly thought of as the northernmost point in mainland Europe (technically, it's not), the Midnight Sun lasts from mid-May to the end of July. 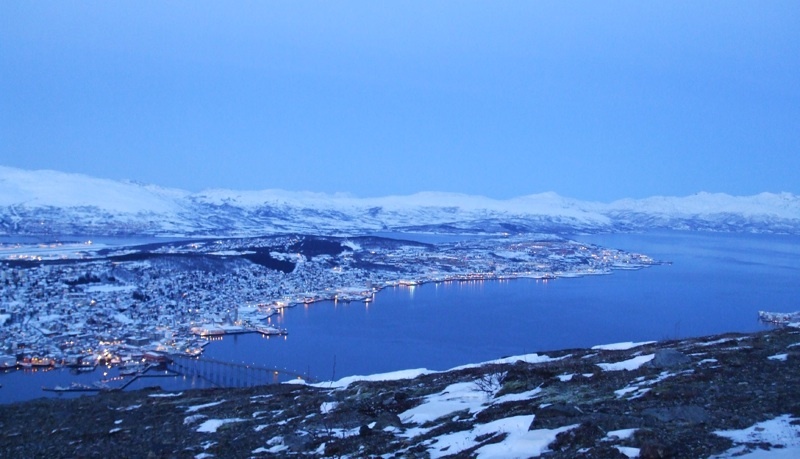 The world's northernmost AIMS-certified marathon takes place every June through the streets of Tromsø. 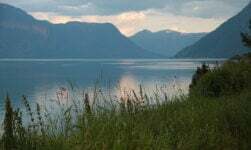 The Midnight Sun Marathon attracts keen runners from around the world. The more daring of you could try its sister event, the Polar Night Half-Marathon, during the icy darkness of winter! 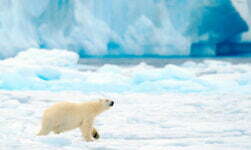 What makes you most want to visit the Norwegian Arctic? Arctic Cathedral and Lofoten are definitely on my list. And hugging Huskies! And the Northern lights. Basically all of it. Seeing your own life, heritage and surroundings through the eyes of “others” is enjoyable and interesting, as sometimes one “re-discovers” what age and experience has helped to forget. 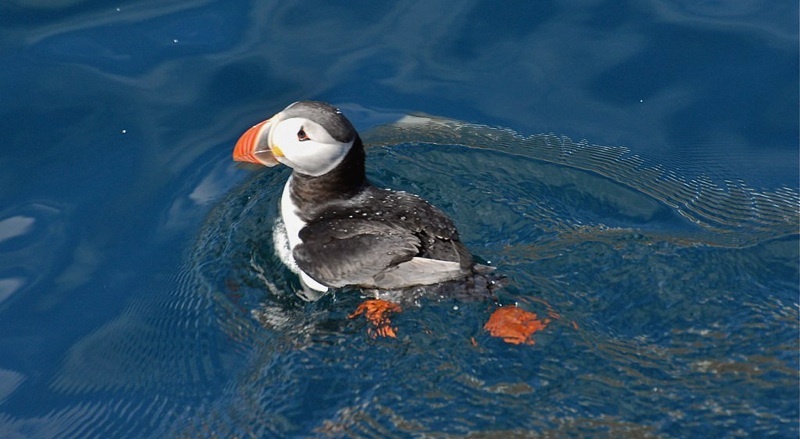 Looking forward to you next post, and if you need any input, how about checking out the region of Sunnmoere, fjords and inlets, sprinkled with excellent hiking-routes, beaches and bird-sanctuary. If you scuba or swim, there’s also the odd ship-wreck, ancient treasures and surf-spots.